Isn’t it quite absurd that we haven’t nail this yet? We recently heard about all the great advances in terms of image quality, 4K, bending screens… Yet controlling a TV feels clunky and awkward. Even worse, given the never ending increase in devices connected to the TV (DVDs, Blu Rays, AppleTVs, consoles…) the usage of different remote controls is painful, unless a Universal Remote is used. But even in that case, the process itself of selecting the activity is weird, for very common operations. For example, if you want to play a movie on an AppleTV (or DVD player, or TiVO, etc), you may have to turn it on, then (using the remote), turn on the TV, select the input (which may involve cycle through a lot of unused inputs, like Composite), adjust the volume, and then get the AppleTV controller. If at any point we need to adjust the volume, we’ll need to get again the TV remote. – Everything is a channel. Why HDMI is “an input” but TV channels are numbered? Allowing to select HDMI input as channel 3 allow easy access to it, and simplifies the interface. If there is no input (e.g. the DVD is off), the channel will be skipped for channel surfing purposes, unless the user specifically request the channel number. – Programmable channels. When a channel is on selected, all the settings (mainly image controls, but may also include a volume adjustment) will change accordingly. 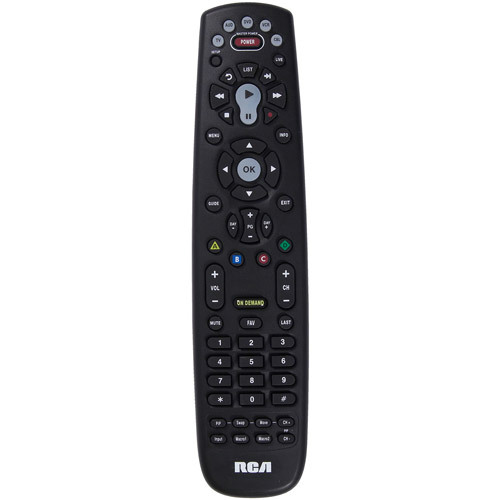 The remote will also know that the controls are now related to this channel. For example, if the DVD channel is selected, most of the keys are related to the DVD remote (except volume keys); if the AppleTV channel is selected, the keys refer to the AppleTV controls. A list of channels (ideally showing their current input) that allows easy rearrangement and enabling disabling them will be great to navigate and give an overview. – A companion app that allows to configure all the parameters easily on a PC or mobile app.